Located across the street from Costco, Slumberworld Kona proudly serves the Kailua-Kona community, including Holulaloa, Kalaoa, Hualalai, Kahaluu-Keauhou, and Captain Cook. Our three factory-trained Bedding Specialists have 39 years of industry experience between them so you can “rest” assured in their ability to find you the perfect mattress for your comfort, support, and sleep health needs. 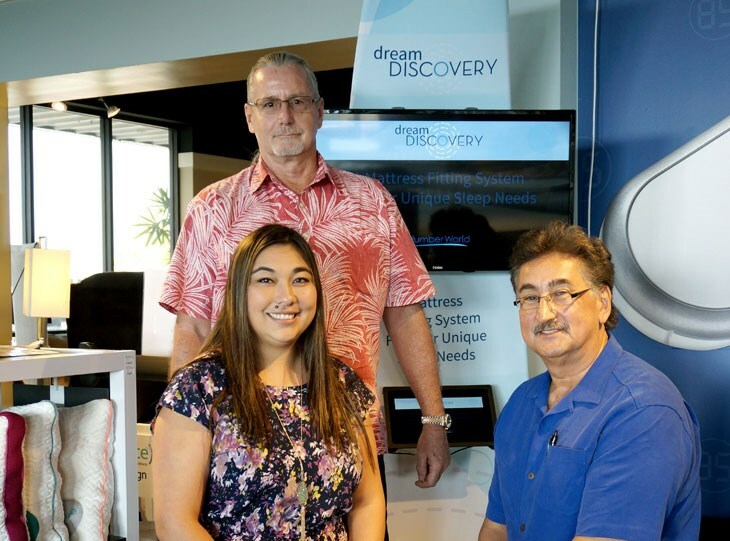 Our exceptional customer service includes scheduled consultations and mattress fittings with SlumberWorld’s exclusive Dream Discovery pressure mapping system to identify the right mattress for your body. We carry a range of mattress brands and lines, including Beautyrest and Serta iComfort, and we were even recognized as the 1st Tempurpedic Elite Dealer in Hilo - Awarded TEMPUR-ELITE status for providing outstanding selection, service, and satisfaction. Start your search for the best mattress ever by sending us a message, making an appointment with a Bedding Specialist, or stopping into our Kona location today!